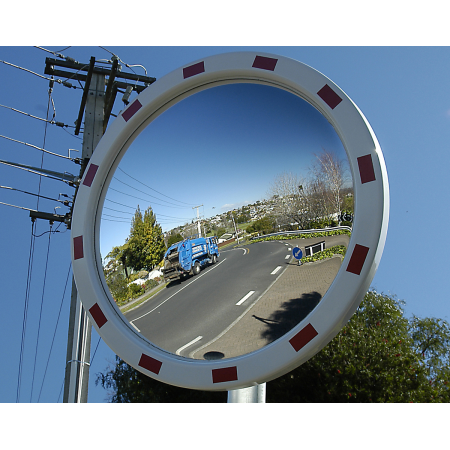 The Securikey M18666CS is a 600mm acrylic traffic mirror that is ideal for use at corners, concealed entry's/exits and driveways. It comes with a clamp to be mounted to a 75mm diameter pole. The M18666CS is ideal for eliminating blind spots, preventing collisions and accidents.